Is your organisation celebrating an anniversary? Check out this email I received from Uber (perhaps you received one, too?). 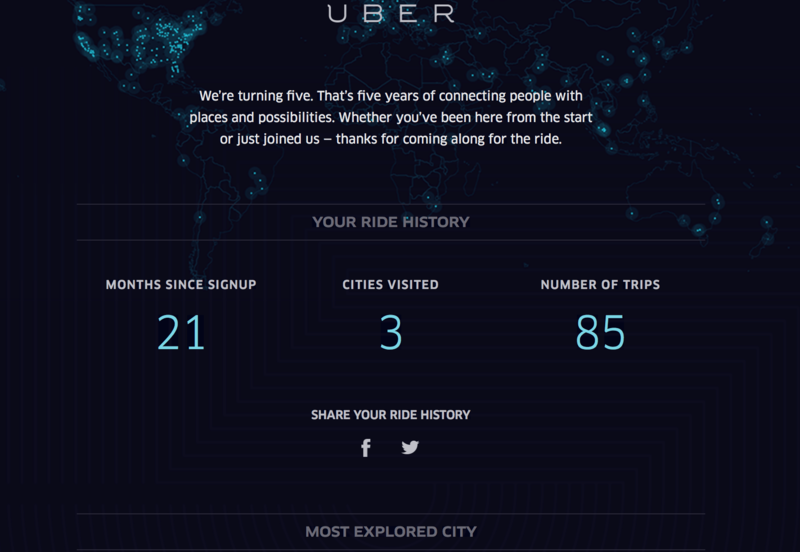 The email connects me to Uber’s 5 year anniversary by pointing out the months since I joined Uber, the number of times I have ridden Uber, and the city I have most frequently used Uber. It also offers me an opportunity to share this information with friends! Clever idea. Perhaps your organisation might adapt it to mark a milestone anniversary? You could simply tie the date the donor first supported your organisation, how many times they have supported your organisation, and how much their lifetime giving. It is ideas like these, whether from the non-profit or for-profit sectors we can adapt to suit our own needs. This is one I thought worthy of sharing!